Hello and welcome to the Project FrostFire TIG devlog! I'm Kaikimi the sole developer of this game. This game is going to be my first great leap into the world of indie development and I hope to make it a great one. This game is set in a world "frozen in time" by an evil tyrant named Lord Touketsu (or King Cold as he is sometimes referred to as). It's the story of a young boy named Nicolas who lives on a small island in the outskirts of the mainland, who begins a journey of peril, excitement, and mystery. 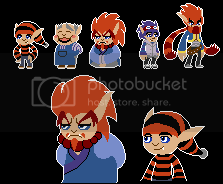 He was born into a small village hidden in the mountains of Glacia island as the child of the village's protector and hero, Kumara. Kumara wields the power to create fire literally out of thin air and he uses this power to protect the people he cares about in his village. This power comes from a magical scarf that he wears that transforms his most inner desires and ambitions into an element. Nicolas always looks up to his father and hopes to one day be just like him and have his courage. Little does he know what the future actually has in store for him though in this world frozen in time. That's some nice pixel-pushing there. Will be watching this one. Wow, this looks really really nice. I love the art and the character design is completley awesome. Keeping a close eye on this. sweet! Ditto what they said plus your hud looks really awesome! I love the portraits. I hope to get a really good first demo out though. It's practically going to be the whole first chapter of the game and I hope that it will keep everyone busy and interested while I work on the actual game. I'm not to big on the white outlines around everything - especially background elements - but that aside this looks real nice. In the first screenshot I find the character's colours make him blend in with the background while the giant tapir mammoth thing stands out really sharply. It might just be me but I think it'd look better if you found a middle ground for them both to sit in. Well... one thing that I am going to implement is that the outlines will change colors depending on the scenery/mood in the game. 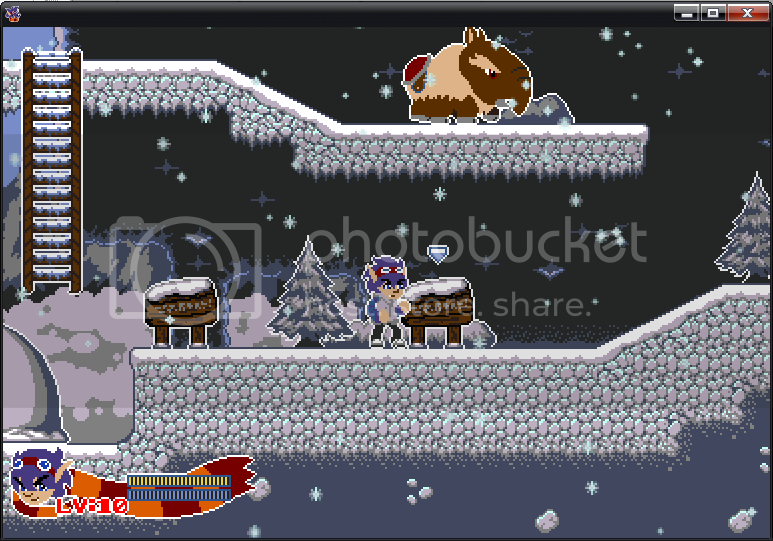 I would keep the game without the outlines but a lot of colors are recycled in the characters and the backgrounds so I use the outlines to distinguish them. It's really just a personal choice of mine in the end because I think it adds to the style a bit more than just having all these simple colors smushing together. Well... to give you all a summary of what I've been working on. 1. 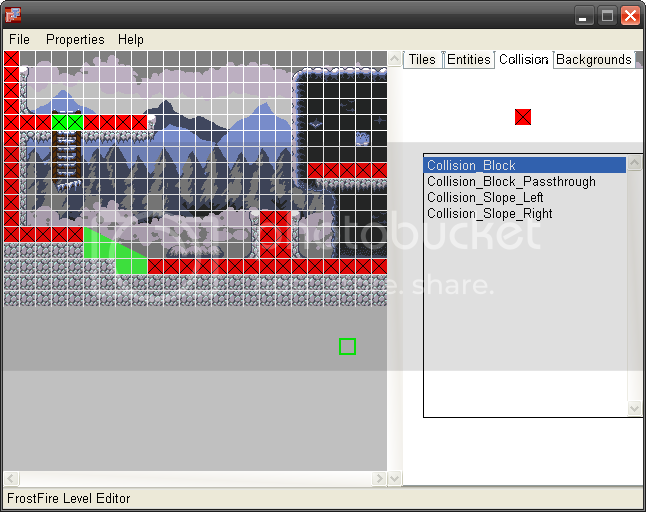 I've pretty much finished the first beta of the level editor. 2. I've implimented it into my main engine. 3. I've started working on the more creative aspects of the game as of now. 4. I'm also starting on scripting entities with GMlua. 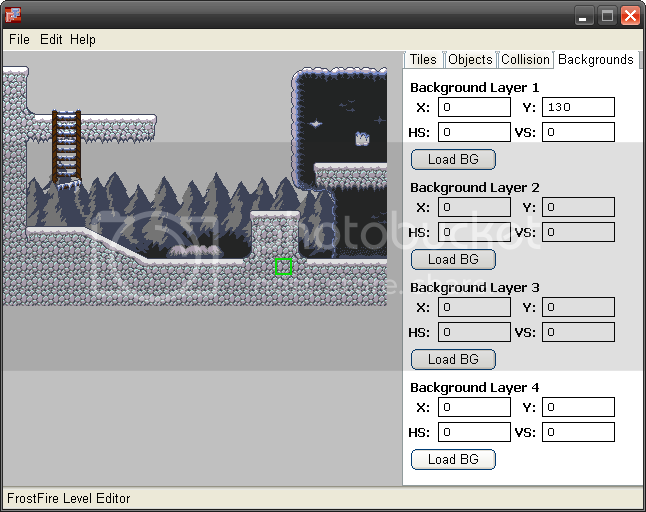 Here's some screenshots of the level editor I made in GM for this. 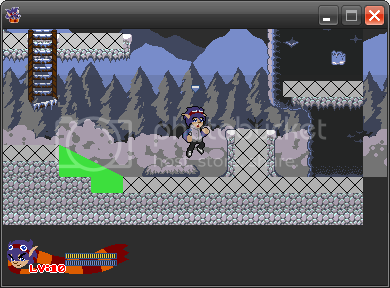 and here's a screen of the game engine running a map build entirely externally from a frostfire map file. Wow, this is really impressive for a solo effort. Personally, I didn't mind the white outlines so much. I do think it is a good idea to limit outlines to foreground/interactive elements. But I think the white outlines helped the character to stand out from the background. 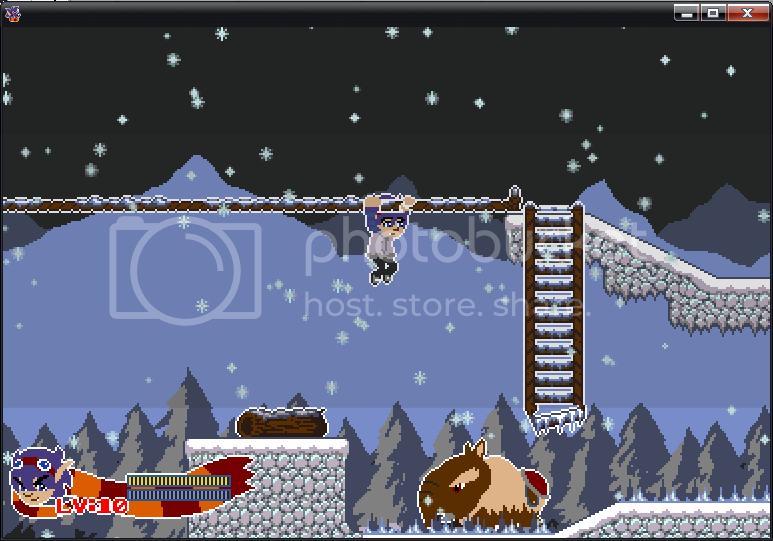 Also, they were in keeping with the "snow" theme of the game. Keep up the good work, Kaikimi, this is really coming along well. I like how you did the dialogue, and I hope the portraits change to reflect the tone of what's being said, cos I like it when games do that. oh yes. I'm basing it off of how games like TWEWY and sonic battle did their narrative. 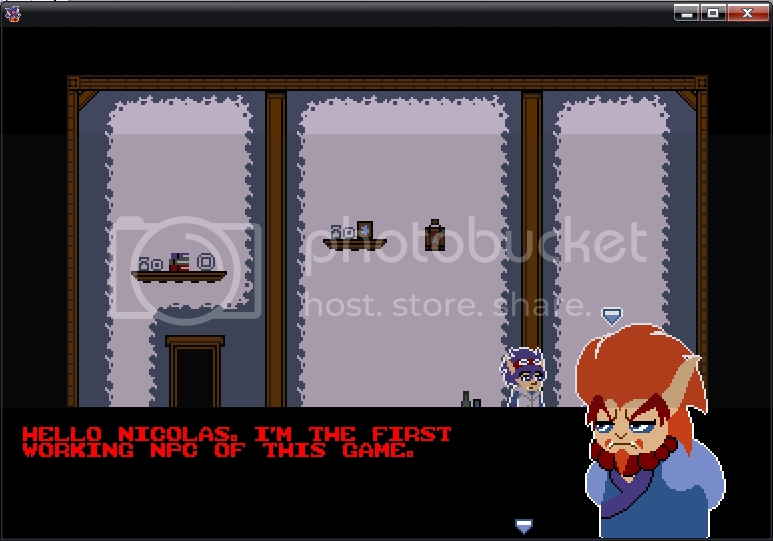 Now I'm finally adding in some scripting for npcs with the new lua engine and things are going pretty smoothly. 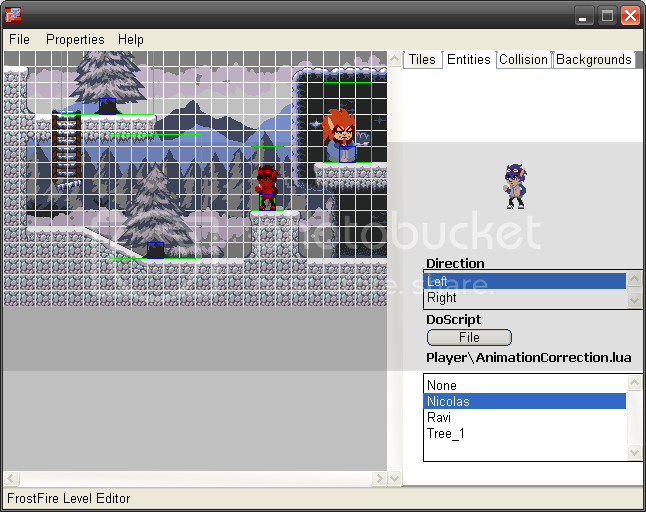 I'm hoping to have the dialog engine complete in full by the end of this week. After all my dialog work is done though, just to test it out, I might just make a little cut scene, just to mess around with lua some more.After that's done I'm going to start work on the inventory/menu system. that shouldn't be much trouble after all my experience with working with sorting and storing arrays in the level editor. 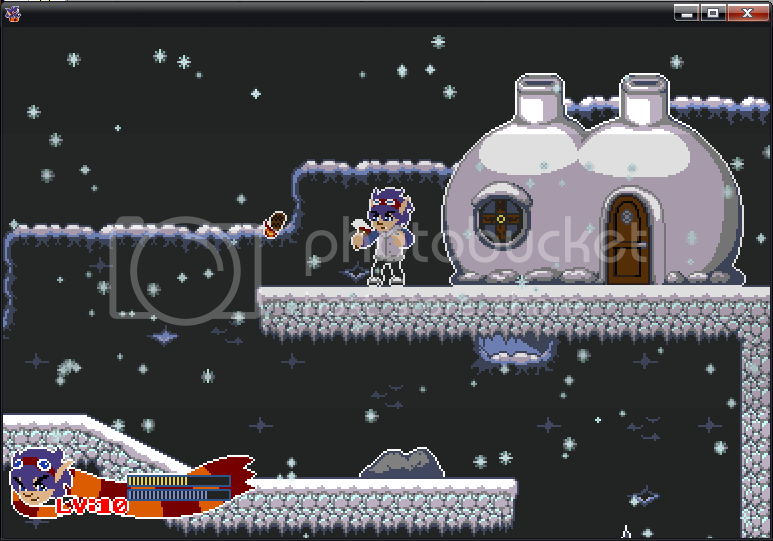 After that I'd say it's onto working on more tiles/sprites. Things are progressing along pretty smoothly it seems.